Understanding communication in collaborative design is helpful for development and selection of communication software and technology in design project. The aim of this article attempts to explore the differences between the influences of synchronous and asynchronous modes on collaborative design learning projects. Two experiment projects were conducted, and the participation record and the content of communication were collected. Both quantitative and content analysis methods used in order to indicate the attributions of different communication mode. 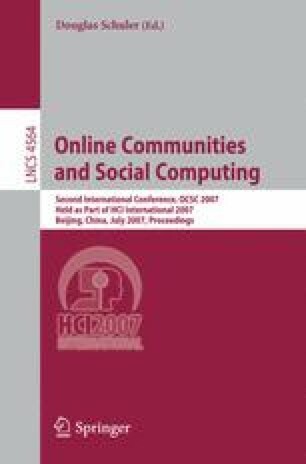 Results of this study showed that there have differences in participation and communication pattern between the synchronous and asynchronous modes on collaborative learning project. It should be noted that this study is restricted to the size of sample and uncertain variables. The future research is obviously required.